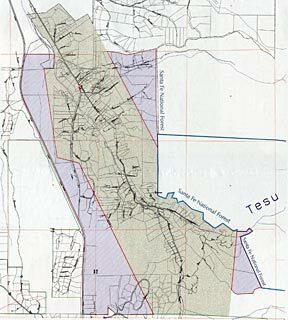 The village of Tesuque was the first community in Santa Fe County to have its own land use plan approved by the Board of County Commissioners. This four-year effort was achieved by working closely with the Tesuque Land Trust, the citizens of the Traditional Historic Community of Tesuque and the County Planning staff. Funding was provided by an innovative grant from the National Endowment for the Arts, several local foundations and private donations.